Except there is a last minute change of plan, the Delta State House of Assembly Speaker, Mr Victor Ochei, will be a mere floor member from Tuesday according to a very reliable source who is very familiar with the plot. The source who spoke to us stated that the Speaker has been having a secret running battle with the State governor, Emmanuel Uduaghan over his gubernatorial ambition. We gathered that Uduaghan had called the speaker in confidence and asked him to forgo his ambition according to order from the presidency. Information made available to us is that the governor who wanted Ochei to succeed him confided in the Speaker that his corrupt files are before the Economic and Financial Crimes Commission, and the only way to kill them is to forget the race for the number one post. The Speaker according to our source told the governor that he will continue in the race; an action which the governor saw as an affront to his office. We gathered that he immediately summoned his Special Adviser on Political matter, Ighoyota Amori to work. Amori it was stated passed on the job to his loyalist in the House, Monday Igbuya who is the Majority Leader. 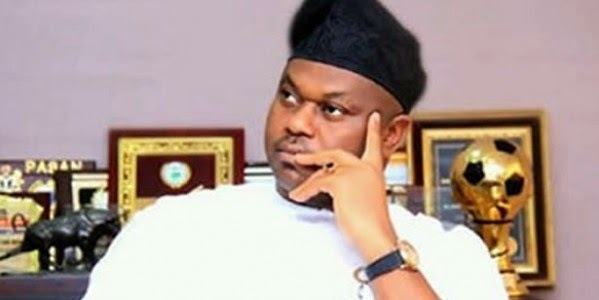 Igbuya according to sources immediately swung into action by meeting other members to file a motion moving for his impeachment on grounds of misconduct and financial recklessness. According to a source that is privy to the details, over 18 signatures were gotten, which was passed to the governor, with many more ready to sign. The Speaker who got wind of the plan quickly met the governor to give him a soft landing, by allowing him to resign honorably, as been impeached will stain his political career. Information made available to us also indicated that he has written his resignation letter already which will be passed to the Clerk on Tuesday. The Speaker is known to be a chronic womanizer as well as a corrupt young man, who collected billions of Naira for an IPP project in Oghara, which never saw the light of the day. In a message sent to the Speaker to confirm his resignation, he refused to pick our calls nor acknowledge our text message.